Welcome to our new article series about the topic of Time Signatures as used in music. What is presented here includes several articles covering such specific subjects as; time itself, what time signatures are, how to use time signatures and the differences between the different commonly used time signatures in both simple meter as well as compound meter. Multimedia presentations, specifically graphics and sound clips, will be used to demonstrate time signatures and the ideas behind their use. In my opinion, understanding time signatures requires a certain amount of study of three concepts; a philosophical approach to the concept of time itself, the description of the symbols used for notating music as well as an approach using musical symbols in applications demonstrating the effect different time signature symbols have on playback and performance of music. The entire article series is based upon the concept of time and the specific designations, as used by composers and performers of music, demonstrating various Time Signatures. I think each brings interesting and related information together which then establishes a more complete understanding of these three concepts about time signatures from this composer’s viewpoint. Time Signatures – Music Theory – Part 22 is consequently divided into seven parts, 22a, 22b, 22c, 22d, 22e, 22f and 22g. In that way I can convey my thoughts about these concepts and let you decide how you want to commingle the information or not as you proceed in your thinking about time signatures. There is value in understanding limitations and how to use them to your advantage. Both time and time signatures are useful limitations to understand when it comes to creating music. Time Signatures – Music Theory – Part 22a (this part) begins with an overview of the complete series as well as a philosophical approach to what time and time signatures is and how it is related to music. Part 22a is the part you are reading now. 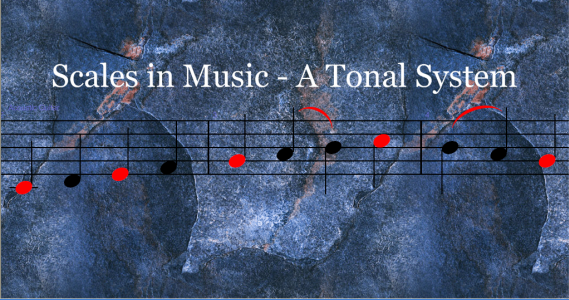 Time Signatures – Music Theory – Part 22b focuses on the actual symbol, how it is constructed, the definition and meaning including each of the components of the time signatures symbol as well as understanding meter or the beats within measures of music. Time Signatures – Music Theory – Part 22c takes a look at the various and most common time signatures used in music as well as a brief overview of some of the more esoteric or infrequently used times signatures. Time Signatures – Music Theory – Part 22d applies the information presented in Parts 22a, 22b and 22c with multi-media examples of time signatures in simple meter and examples applied to classical music using excepts from the music composed by Haydn, Beethoven and Mozart. Compound Time Signatures – Part 22e applies the information presented in Parts, 22a, 22b, 22c and 22d with multi-media, compound meter examples from classical music composed by Holst and Stravinsky. Time Signatures – Music Theory – Part 22f – demonstrates the method used to change time signatures within a music composition and the notation considerations for various uses of time signatures. Time Signatures and Tempo – Part 22g reviews the impact of tempo on time signatures using an excerpt example from Wolfgang Amadeus Mozart, Eine Kleine Nachtmusik, to demonstrate how modifying the tempo alters the overall sonic effect of the music as well as the responses within the listener. It answers the questions about tempos influence on the designated time signatures within a piece of music. The conclusion to the time signatures article series is also included in this final part, part 22g, of the time signatures mini series. Collectively this mini-series provides a broad explanation about time, the symbols used in music representing time signatures and the use of the time signature symbols including the resulting effect of their use in music notation and music composition. Note: Time is a fundamental aspect of music. Time plays a significant role in rhythm, tempo, note shape selection, length and duration of sections of music and the complete composition, among other ideas within music and music theory. It is because of this fact that I have elected to present this first article about time itself as a lead-in to the presentations about time signatures. It was a difficult decision to make as this approach is not customary in either my style of teaching or in the more conventionally accepted methods and guidelines used by other music professors, teachers or mentors of music. Certainly, you have the option of skipping over this article and moving directly to the time signatures various posts that follow. That would be you exclusive choice, however, my take on this first article of the min-series is that it does help to support what is to follow while it offers a broad range of questions and other ideas which may be of help to you in other ways than music alone. There are plenty of references at the end of the article to pursue this approach to the study of time and time signatures in general. I would urge that you continue your quest in understanding the universe in which you live no matter where it takes you or by what means you travel as long as it is safe to your self and to others that are part of your individual world. It will help to make this world a better place. Before beginning our explanations about time signatures as related to music, I would like to start with a philosophical approach to time itself. When I was in high school back in the nineteen seventies I wrote out a short phrase, a thought, I had about the subject of time. It read – Time, a sequence of seconds stopped only because you didn’t wind your watch. At the time I didn’t really know nor did I have a clue that in my lifetime that this idea would have such a profound impact on me as it raised many questions in my mind about time and about my relationship to time. You could easily say that I had more than a few questions about time. What first came to mind was, is time tangible or intangible, real or not real? Is time a tangible concept, something you can put in a barrel and haul around town? No, it is not. Why then is it such an important concept in our everyday lives? Since I couldn’t hold time in my hands, I couldn’t see time other than by looking at a watch or a clock, I couldn’t hear time, I kept wondering if time was real or not. The entire idea of thinking about time in the sense of tangible and intangibles had just started to generate my curiosity as to what meaning I was to give to time it self and what my relationship was to become over time to it, weird hey? I was an inquisitive lad. The idea of “tangibility” considers that there are things that are physical in nature such as a rock, a tree, your car or a watch. Its opposing view is that there are “things” which are not physical in nature but they have an influence on us as an individual as well as collectively throughout all of society, such as individual thoughts, political and sociological ideas. 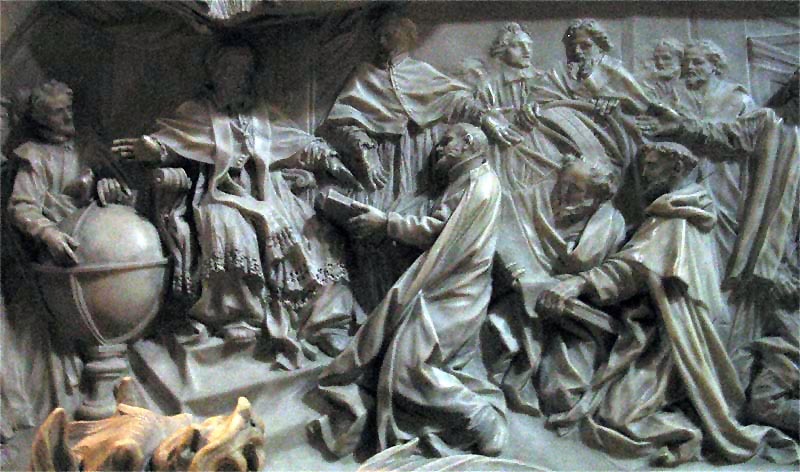 Another view is that there are things that are simply not real but are “made up” to suit some particular need. People everywhere are influenced by time and because I didn’t want to spend time thinking about things that probably didn’t matter anyway, so this idea was basically thrown out. Secondly, if my watch says it is four o’clock in the afternoon on a Friday and your watch says 6:00 am on a Saturday, at the same time, because you live in a different part of the world, then what time is it really? It seems to me that it should be the same time even though you and I would think of it in relative and experiential terms rather than in the commonality within the idea of now. Since now is not a quantitative idea, rather a philosophical concept, it is not considered to be representative of time it self rather that it should be thought of as a descriptive word to represent a specific and fleeting moment in time. Time is one of those topics which is an intangible idea and which directly influences our daily lives even though we can’t touch it in a physical sense. We do however experience its influence throughout our daily lives. We must be at work at a certain time, our lunch is taken at a certain time or span of time, we get off of work at a specific time relatively speaking, the seasons change throughout the time frame of a year and hence our behavior changes in an adaptive dance with time. The impact of the concept of time is felt throughout the entire world, in every culture and in every society. These two ideas bring together the main ideas surrounding the definition of time and the impact it has on both our psyche as well as our relationship to events which, have occurred, will occur or are occurring now, observable within our individual experience. Time, Philosophically Speaking – To say the least, in my lifetime, I have spent an enormous amount of time thinking about this idea of what appears to be an intangible, one dimensional and linear structure or construct we all commonly relate to as time. It seems to unfold from one moment to the next in a sort of universal dance which allows us to place multiple events, in a relational and comparative manner, along a line or linear structure so that we may be able to hold onto an orientation, within and about our selves, to yet another concept or point in time which we call now. Through our orientations to a physical existence and our sensory observations and experiences, as well as the idea that we have a conscious awareness of our self within this physical plane of existence, that we have devised the ideas of a past, a present and a future as a means to recognize a sequence of observations, events or experiences whereby each has occurred along a time line, so to speak. Also, through our internal or mental awareness of time, we are able to grasp in our minds eye the provisions for the basis for comparison, for enabling an orientation resulting from our personal observations of events or experiences, as belonging to a series of events or experiences which one are placed in a linear, non-spatial, non-physical and not measurable, relationship to another, along an imaginary time line. Not measurable in the sense that time is a non-physical idea or concept and that our observations of a series of events or experiences are purely relational to one another and thus not measurable in a tangible three dimensional and worldly sense. Without this orientation there would be no “thing” or idea to hold onto that would provide a relative orientation point when considering in our thinking about other things and events that have occurred, will occur or those things that are occurring now. In essence, we would only perceive them as occurring all at once, in a single moment. The average person would be lost without this orientation if our perceivable observations of the events or experiences were not based upon the construct and the structure, presupposed, of this idea, a linear and one dimensional concept called time. As a result, we, humankind, have developed the concept of time as a commonality within our global societies to serve us through this type of non-physical orientation enabling us to experience a before, after and now sequence of occurrences or events. In other words, we all set our watches to a relative time based upon our physical location and upon the current universally accepted system of International Atomic Time. In that way we have established a system for keeping time somewhat universal in nature. In earlier times throughout the history of man, we may have used a stick lodged into the ground to observe the shadow enabling an idea of time to be established in our psyche of a concept of time. Further and as time moved on, we developed such things as a sundial which enabled a person to know more accurately an approximate time based upon where the shadows fell. 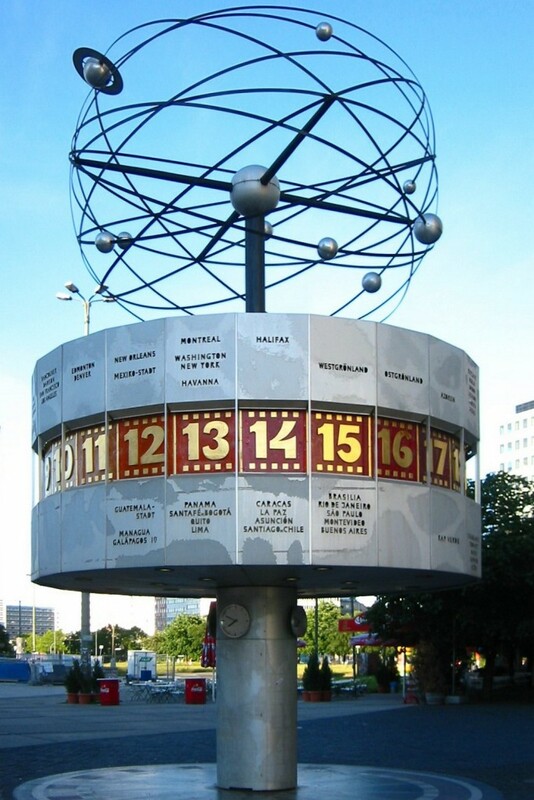 Today, with the advent of the Global Positioning System and the Network Time Protocols, all atomic clocks are equally set or synchronized to these systems however the actual physical or geographical location of a person plays just as important a role in determining what time it actually is in one’s personal experience as do these physical mechanisms or atomic clocks. For example; travel and the cell phone, with GPS installed and operational, comes to mind. If you have ever driven through a time zone change you may have noticed that the time had automatically changed on your phone. This time change happened upon crossing some invisible line, which marks a specific location on the planet that causes your cell phone to change its time relative to the direction or your approach to the unseen boundary between two time zones. Your watch knew it was time for a change, a time change and consequently your new observation was a confirmation that time had indeed changed. Was it time that changed or was the change due strictly and exclusively as an effect caused by a change in your physical location, in affect changing the actual time and your orientation to time? My Questions – My real concerns over time have come about when looking at the various means in which we base the measurement of time, in a general sense. Without a singular or identical basis which is universally accepted as to the correct and proper point of the origin of time, the actual time, among all of the world’s population, is not a consistent value. Our example above is proof of that statement, so are the twenty four time zones we have so conveniently designated, here on earth. The World Time Standards vary depending upon which basis a person is knowledgeable of and which is held as truth, intellectually and in an experiential way, by a person. For example, Greenwich Mean Time, Sidereal Time, Terrestrial Time, Barycentric Dynamical Time and Coordinated Universal Time, all of these have at one time or another has been used as a model of choice when determining the actual time. Which one or ones are correct? Further and within specific cultures there are other standards which offer to us the time of the day, such as; Egyptian Time, Hindu Time and China Time, etc., all of which are accepted within the individual culture in which they exist(ed). Again, which one or ones are correct? 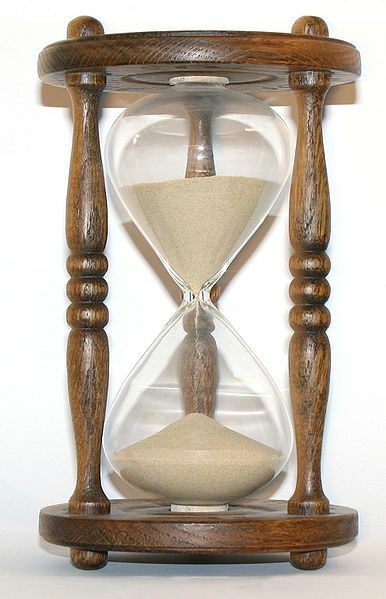 All methods for keeping time and time keeping were developed from various basis points and thus they are not representing an equal value, in a sense, nor do they reflect or designate identical moments in time using the same identical basis or unit of measure, however, each is considered legitimate and each is claiming to be highly accurate in its ability to measure time. A Longer View – When taking a longer view, different calendars throughout time have been used which, when they were implemented, altered or changed time, from what had been previously known as the current actual time to another described time based upon the newly accepted calendar. For example, the Hebrew calendar, Julian calendar, Islamic calendar, Mayan calendar and the Gregorian calendar are all different to a degree and each claims itself to be usefully accurate and representative of that intangible concept of time. So, as a result of these calendar changes, when is now in this historical perspective of time? What time is it, really? While we are asking questions about time, consider these questions; what day is it, what year, what millennium, again, is it really? Further, once you have an answer to the questions, what time it is claimed to be is relative to what other tangible experience, thing or event? What if that tangible experience, thing or event was outside of your personal perception, observation or knowledge where you had no internal representation of the thing, event or even the experience? Would you still hold the same time as one who did? Is it the same time for everyone and we just call it a different time based on our physical location as in our cell phone example above? A person at latitude Y and a longitude of Z is very likely to have a different time that one who is at latitude A and longitude B. Who is right? Who is it that holds with complete accuracy the answer to the question; what time is it? Are we simply supposed to accept the common belief that we do know what time it actually is and then not think about these things? We can look at our own watch or clock and persuade our self that we know what time it is because our watch or clock says so, but is it really that time? Generally Accepted Definition of Time1 – Conceptually, time is actually a non-spatial, one dimensional and linear continuum whereby the orientation of the past, present and future can be defined and each has a special relationship to the others. My problem with that definition is found when thinking about the various accepted time keeping methods, calendars and other outside mechanisms rather than a singular actual reference point just spoken about. Within my thinking and within my personal experience, I have come to realize that time itself is neither a thing nor an event. It is a concept, an orientation, a marker of sorts, observable only through our individual internal sensory based observations and mental capabilities. It is subject to and relative to our internal subjectivity and our intuition and inspiration and therefore not measurable until it is written down or performed. This is the same position that Gottfried Leibniz2 takes on the matter. Secondly, by limiting our thinking to the construct of a three dimensional world, more specifically, to a one dimensional linear concept we can make sense of our experiential world by constructing the linear idea of time and to fulfill our human need for systems and structure. Others have adopted this position such as Sir Isaac Newton and Immanuel Kant3. Newton and Kant’s idea was that time is a fundamental principal of the universe, a dimension, if you will, in which events occur in sequence. This idea of time coincides with the current philosophically based and universally accepted definition of time. This perspective provides the concepts of past, present and future which helps us to orient ourselves in such a way that the events which occur in our life are sequenced based upon this principal and observed in a sequential manner from a specific orientation within the construct of a linear and one dimensional idea, time. Who is correct here? Says who? Leibniz, Kant and Newton have viable ideas about time. Both ideas merit ones attention to the degree of individual interest but which is truly correct? In some ways both are correct. Each suggests a suitable definition applicable to our selves and our life experiences. What is different is the perspective taken when thinking about time. Space / Time Continuum – Further, one of the main contributions made to science in this more modern era is Nobel Prize winner Albert Einstein4 and his grand idea or Theory of Relativity5, which is based upon the concept of a space/time continuum. Einstein’s idea was that two major influences of time and space play an important role in our understanding of the universe. They are tied together by movement or velocity. Time, one of his base principals, is an important factor which Einstein used as an underlying concept in his thinking about moving at the speed of light, that is, if a person was actually capable of moving that fast. Light is said to travel at approximately 186,000 miles per second6. Is the speed of light the speed of time? I do not know, nor to my knowledge, that Einstein didn’t know either, in all certainty. Once a person reaches the speed of light, at that moment, then would time stand still or would only light be still? Would there be a past, present or future if the speed of light was reached or would some other and different new idea be discovered about the concept of time? Einstein suggested that our physical mass was subject to the speed of our movement through his mathematical formula, E=MC2. Although I am not a mathematician or a scientist, the general idea to me suggests that if we were to attain the speed of light and our physical mass is reduced subject to speed then is time also subject to the speed of our motion? Certainly, this has been strongly suggested and a belief is held whereby time slows down contingent upon the velocity of movement. With this in mind, my question becomes, if we have no mass at the speed of light then what do we become? Do we have the ability to observe a physical universe without any mass? These are thoughts to ponder. Is time really a measurable idea or is it just an accepted construct created by man to make sense of this world? Can time actually slow down or stop? If so, under what condition or conditions is this idea a possible task to achieve, that is attaining a speed where time itself stops? Is time only an intellectual and measurable construct we use to explain a sequence of events within the framework of before, during and after? Einstein’s theory7 also included the idea that space is a reality. It provides the orientation perceived as movement, here versus there. The claim is that light is actually going somewhere other than here and that it can be measured based upon selecting a starting point in space and an end point, somewhere else, in relation to distance or the amount of space in between these two orientation points, both are necessary to fit into the model for measure-ability. Movement is suggested or presupposed in order to perceive time, from one time to another time, so is space, from here to there. Conversely, it assumes that movement occurs within space and within time. Some “thing” must be moving and this movement must be measurable in order for us to hold as truth that movement exists at all. It must also be observed and that would include the observation of a start point and an end point where both were different and not in the same location. Lastly, it also suggests that it takes time to move from one place to another and that the time it takes to do so is both observable and measurable. These orientation points also suggest that both our conception of time and space are somehow tangibles which can be observed and measured. The question that comes to mind then is; without someone to observe or perceive either time or space, would either actually exist? Also, if it is perceived by someone, how, if at all, does the act of perception or observation alter what is actually happening? Does the act of observation affect the outcome and thus somehow become some other observable event, influenced by the act of observation it self, than the original intention would have produced, without the perceptions or observations made by an observer? Through what internal filters are the observations made and by what method are the observations made conveyed to others? Lastly, by what other internal representations is a person required to have in order to correctly interpret the observer’s conveyance? Such as in the example below. 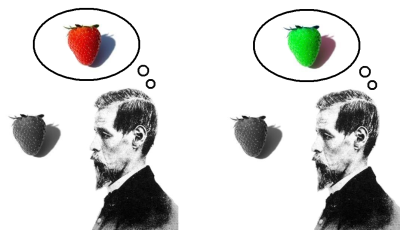 Is the strawberry red or green? It’s a matter of perspective, subjective experience, interpretation and the observers mental and physical condition. As noted, these questions do not address the mental state or the condition of the sensory organs of the perceiver or observer. Any observation made by an individual would be filtered through the entrenched values and beliefs of that specific observer, as well as their observational skills, their physical capabilities, their interpretive skills, including any other restrictions and/or limitations which may be present in the individual. Also, the interpretation of the observations would underlay the description of the observed event and the quality of that description would be based upon the internal collective memory, a personal or subjective one, unless the observer was a device without values or beliefs or other such filters of perception. A device such as a camera could eliminate the human limitations of observation. Wouldn’t the photograph taken by the camera still be subject to the observations made by the person taking the photo with their values and beliefs, acting again as the filters of interpretation, while observing and describing the meaning of the photograph to someone else? What if another person took a picture of the same event but from a different angle or orientation point? Would the photograph be observed and interpreted in the same way as the first? Would all who observed the photographs interpret them the same way? So, it is that I have come to an understanding that time is relative to the perceiver or observer and only when and/or if there is some other point or points of experiential orientation, which have been so limited, in such a way, as to fall into the one dimensional and linear concept of time. Further, that it is within the limitation of our physical measuring systems and our capabilities of observing non-physical structures such as space and our non-physical concept or idea of time, that we define space and we define time, respectively through a construct or hypothesis with no real way of identifying the source of time or the actual universal time. Both time and space appear to be real and maybe within our construct they are real. Maybe they are simply conditioned realities based upon an acceptance of observable and measurable observations as well as learned associations. Music – Within the confines of space and time, music is visually experienced by the reader where through music notation the person can experience the music. We can see that music takes up space on a piece of paper, both in terms of the linear structure of sequential measures as well as the location of the notes and rests placed on the musical staff, up or down or through the charts for an orchestral piece where there is a stack of musical staves for the instruments involved. Music notation is therefore a two dimensional construct where left, right, up and down make up an observable document we call a musical manuscript. An additional dimension is added as related to time through the time signatures shown throughout the manuscript. The time signatures designated how many beats per measure and what note shape (or length in time) receives a full beat within a measure of music. The time signatures in this way play a significant role in determining the “feeling” or the movement and flow of the sounds we hear when the music is played anywhere or performed such as in a public setting. Further, audible music, we hear music from multiple directions not simply along a single line or in the sense of up and down or left and right. We hear it from all angles, especially when experiencing music through surround sound speaker systems as in a theater or in our living rooms. Generally, our experience of music is influenced by our spatial relationship or location to the originating source of the sounds of the music itself. When using surround sound, we lose a certain amount of this orientation and our experience tells us that somehow we are within a sound field unaware of the location of the actual source of the sound. We also know from our experience of music whether notated or listened to that more than one note can be of the same pitch or they can be of a different pitch. We interpret differences in pitch through frequency variation and that these variations are in a spatial relationship to each other as either higher or lower in our observation of them. We can see the placement of the note on the staff for each and see these relationships as well. We also get an internal sense of their relationship to each other. We also know, through a comparative exercise that each pitch is in an intervalic relationship and in this sense a spatial sonic relationship to one another, whether observable as a large interval or a small interval or somewhere in between. Lastly, we know they are in a procession or sequence to another note throughout the entire musical work unless they are played simultaneously in which case we can hear them as sounds made in unison, played at the same time in this regard. Each suggests that there is a time and spacial relationship to the sounds of music as well as the notational ideas as seen in a musical manuscript. In our presentations about time and space it is now possible to understand more fully the relationships of notes within the music model. Let’s explore this a little more. 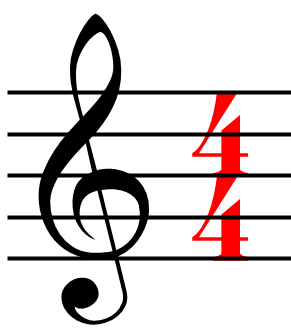 Time signatures are symbols such as the one seen in the graphic above. Various symbols, meaning different upper and lower numbers designate different meanings as we will explore within this article series. 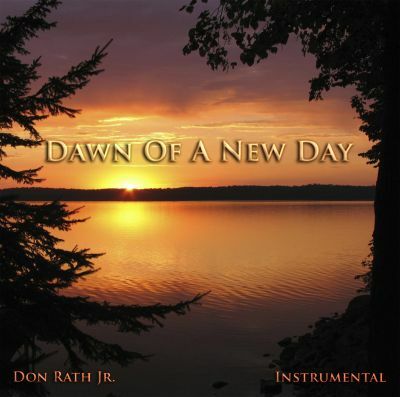 Music and Time – So it is then that the linear dimension of time and the multiple dimensions of space meet music at a halfway point, so to speak, whereby notes written in specific time signatures occur in a linear and measurable sequence as well as sonically within a spatial multi-dimensional environment. With both in mind, when we are composing, performing or listening to music we become somewhat aware of these relationships. Music is also a system or construct albeit quite different than that of time itself, in a broad sense. Music is not limited to a one dimensional reality such as the one dimension of time as stated above. Music appears to fit into or overlap the limited concept of the one dimensional and linear structures of time, from the standpoint of duration, both in comparative terms of each note and rest, their actual values and in our observation of the total duration of the complete composition, as designated by both time signatures and tempo, from start to finish. The concept of relational and sequenced events, as moving from one note to another through time until the end of the composition, ties us to the larger picture within time and the orientation of the musical ideas, notes and rest, of past, present and future. Also, since music is in and of itself written from a limited collection of tools with unlimited variations are we then putting together two concepts or ideas while attempting to universalize or to define them as unlimited in nature, the collective concepts of time and those of music? Yes and if this is true then is music believed to be created from within the confines of these two limited ideas? Yes again and I would suggest that there is more to it then that. Music and Space – Music also resides in other dimensions such as, in space as we have pointed out earlier. Music can be heard in any part of a room for example. It is not limited to only being heard along some linear path therefore it has residence in additional dimensions other then the single and linear dimension of time. Since space is three dimensional in its very nature then music resides collectively in at least four dimensions, the three dimensions of space and the one dimension of time. Further, music is also observable through a spatial orientation in so far as our ability to hear music in any location of a room or hall or even outdoors where it falls into our human audible range of hearing. 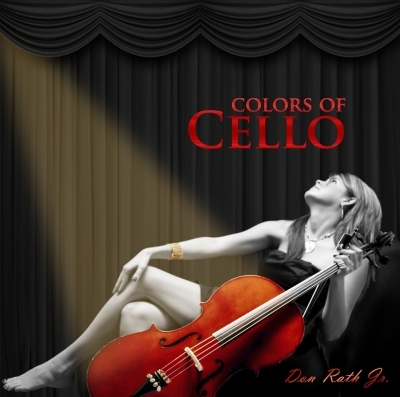 Although variations in our perception of music occur depending on the orientation of our self and the music’s source, we do hear what could be defined as a multi-dimensional collection of sounds. Music, Time and Space – In that sense, how can a four dimensional idea known as music be within the limitation of a one dimensional structure such as time and further how can a four dimensional idea such as music reside within the limitations of the three dimensions of space? Supposedly, as the photograph above demonstrates, that time and space began at some specific point called the “big bang”, represented in the photograph as Quantum Fluctuations. 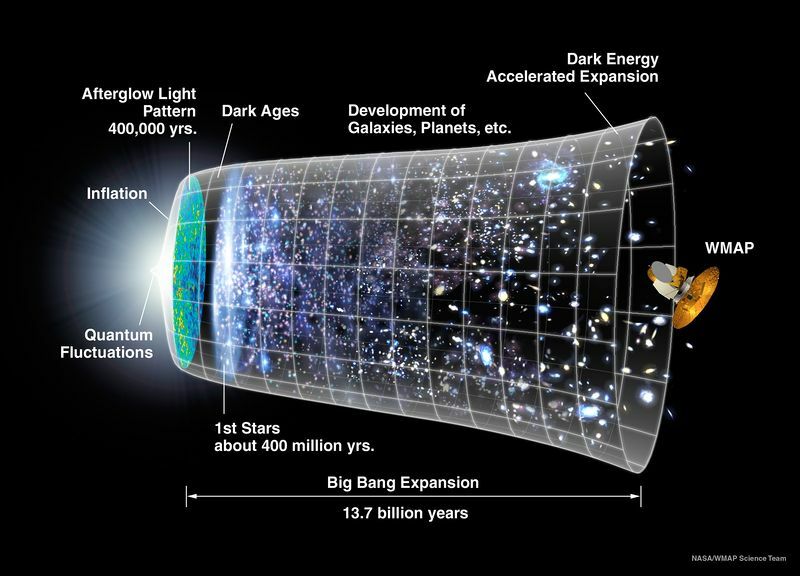 Now if the theory behind the Big Bang is real then what is the basis in fact for the beginning of time? What and by who definitively states, again as a fact, whether something such as time existed or did not exist before the Big Bang8 occurred? A 20th Century scientist, Stephen Hawking9, suggests is that it is ludicrous to think of anything before the Big Bang occurred because there was no one and no thing present to observe anything prior to it, I paraphrase here. From that initial point which we have termed the Big Bang, the universe has expanded beyond a singularity and into an ever expanding universe, as is suggested in the graphic display from NASA above. If this theory is true then is it possible that at some point the universe will stop expanding and eventually end? Regardless of the answer to that question, the suggestion of expansion suggests distance, a measurable idea. Further, if it did indeed, at a singular point, start at the Big Bang then it is not a finite model? To be measurable, something has to be of a limited size, large as it may be, otherwise it would be immeasurable, infinite as it were. Clearly, the presupposition of the graphic demonstrates a measurable 13.7 billion years in duration with the considerations of the start being the Big Bang and the current time period being its current length in time. 13.7 billion years is a finite and specific number. Even if some one 13.7 billion years from now were to make the same claims the only difference would be the orientation of the new now some 13.7 billion years hence, therefore and still, suggesting measure-ability of a finite nature with the orientation being a specific time in which the observations were being made. The next question that comes to mind is whether music actually lives within its own dimension different than that of the dimension of time and in the dimensions of space. Do they overlap in such a way that we can experience all of them simultaneously through music? It also suggests that there may be other or additional dimensions in which music resides, which we may not know about given our limited understanding of this unlimited universe. What other dimensions exist that we are completely unaware of? Over time we have learned in an intellectual sense that a single dot represented only one thing, a single location. Whe then added another dot in a different space than the first. We create a line between them and as such added a new dimension to the dots where a single dot became extended to include more than one, albeit located in a different place. Later, we learned that a line can be straight or it can be curved adding the possibility of still another dimension. Our continued intellectual pursuits developed adding the triangle, a square, a dodecahedron and a circle among other geometric shapes adding still other dimensions to our concepts, thoughts and ideas of the universe. By and through the further developments in our thought processes as well as advancing our observational capabilities what other and new dimensions will we discover as being useful in our world of existence? Lastly, is it possible that music (sound) exists in another dimension all together and that music is somehow brought into the dimensions of space and time through some sort a step down transforming device? Where, depending upon an individual’s abilities to perform that function and to notate or perform the music determines its overall quality as compared to others. Did the great composers have a more highly developed ability to do this or were they simply that much better at composing, intellectually speaking, than the modern composers of today? Is it possible that the dimension of time and the dimensions of space are subsets of a music dimension? Is this dimension comprised of more than the three dimension or four dimensions discussed above? Is the creator of new music one who has the ability to enter into a musical dimension and then return to this the physical three dimensional world, measurable and observable in this world of our existence, (within the dimensions of time and space), and present a new composition to the planetary population? In that sense, is a composer one who has developed the unique ability to be that step down transforming device? I was just wondering. Time Signatures – So what does all this talk about time have to do with everyday music? Well, that is what this article series is all about. 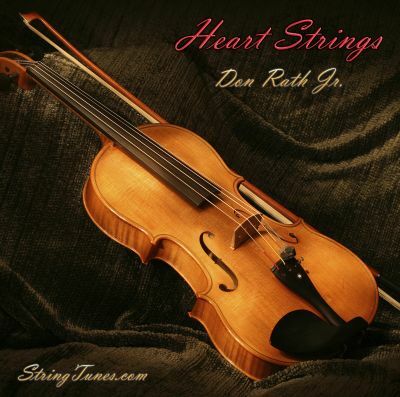 Within music theory and within the idea of music in general, we can definitively state that we experience music in this three dimensional universe using a three dimensional physical body to experience it. That experience is directly tied to the filters of our individual perception. Time influences us and music is written within the concept of time using both tempo and time signatures, as previously presented, in such a way that we can relate to music as it occurs within the linear structure of time, meaning; the past, the present and the future. The overlay of the philosophical presentation above and tied to the information in the next article about time signatures will provide a broader base in which to think about structuring new compositions a little differently, with a broadened perspective about time as we have presented here. When composing music and using music notation, with consideration of time and space, the music theory related structure known as time signatures or meter will be applicable to your success. Time signatures are the exclusive subject material for the next article in this series. Their structure is comprised of a collection of music notation symbols which identifies and describes what note shape gets a described number of beats in any given distance or measure of music. We will be exploring the components of these symbols in Time Signatures – Part 22b of this article series as well as the overall use of time signatures as related to music notation in Part 22c. This concludes Time Signatures – Music Theory – Part 22a, my philosophical approach to the concept of time. In some ways philosophy has its drawbacks leaving many unanswered questions however it is in attempting to answer these questions that we grow, learn and discover even more about our selves and our universe. This article on the philosophical approach to time leaves a person thinking in terms of the dual nature of our collective thinking about time. On one hand we have the option of the intuitive and inspirational based ideas of time and on the other a linear, non-spatial and measurable idea of time. Whether one idea is accepted as true or the other is found to be true is dependent upon your own subjective selection or choice and your individual and collective efforts to verify and to justify the ideas presented through your own earthly experience(s). Music is tied to the ideas of time and space and therefore these ideas or concepts are to be considered when we compose music. Otherwise, we should also consider the intuitive source of music and by how and in what manner dos it become tangible, that unique moment in time when it is written down or performed. Time signatures are a vital part of music theory and music composition. Without them we are unable to designate these structures in the manuscript and hence unable to properly performed the music. The time signatures are specific instructions which allow us to perform music including the same piece of music ofver time where it sounds the same in relationship to time and to the actual piece of music. Now that the philosophical approach to time has been thoroughly presented, let us begin looking specifically at the time related musical concept within music theory, that of Time Signatures. In Part 22b we will be reviewing the structure and meaning behind the time signatures and their symbols as applied to music composition and notation. Final Note: Whether you agree or disagree with my philosophical thinking is not the point of this article. What is important is that you are aware of the concept of time in a broader sense and that there are multiple dimensions some of which have not been fully explored by humankind. To return to the Music Theory – Level 1 the directory for the article listings within the series, please proceed to Music Theory Section – Level 1 – Series Introduction – Part 10. 6The speed of light can also be expressed exactly in imperial units and US units, based on an inch of exactly, 2.54 cm, as; 186,282 miles, 698 yards, 2 feet, and 5 21⁄127 inches per second. 7Adler, Mortimer J., Ph.D. “Natural Theology, Chance, and God”. “Where Einstein had said that what is not measurable by physicists is of no interest to them, Hawking flatly asserts that what is not measurable by physicists does not exist — has no reality whatsoever. With respect to time, that amounts to the denial of psychological time which is not measurable by physicists, and also to everlasting time — time before the Big Bang — which physics cannot measure. Hawking does not know that both Aquinas and Kant had shown that we cannot rationally establish that time is either finite or infinite.” “The Great Ideas Today”. Encyclopedia Britannica. 1992. The Photograph of Socrates and Plato –This image is in the public domain because its copyright has expired. This applies to the United States, Australia, the European Union and those countries with a copyright term of life of the author plus 70 years. 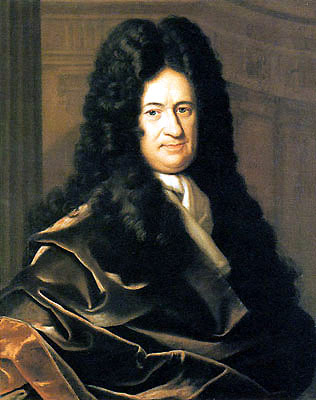 The Photograph of Gottfried Leibniz – This image is in the public domain because its copyright has expired. This applies to the United States, Australia, the European Union and those countries with a copyright term of life of the author plus 70 years. 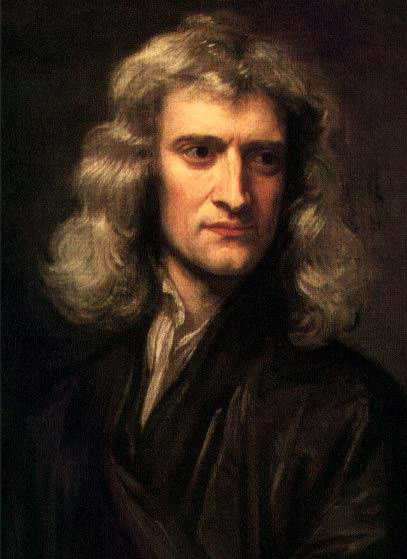 The Photograph of Sir Isaac Newton – This image is in the public domain because its copyright has expired. This applies to the United States, Australia, the European Union and those countries with a copyright term of life of the author plus 70 years. 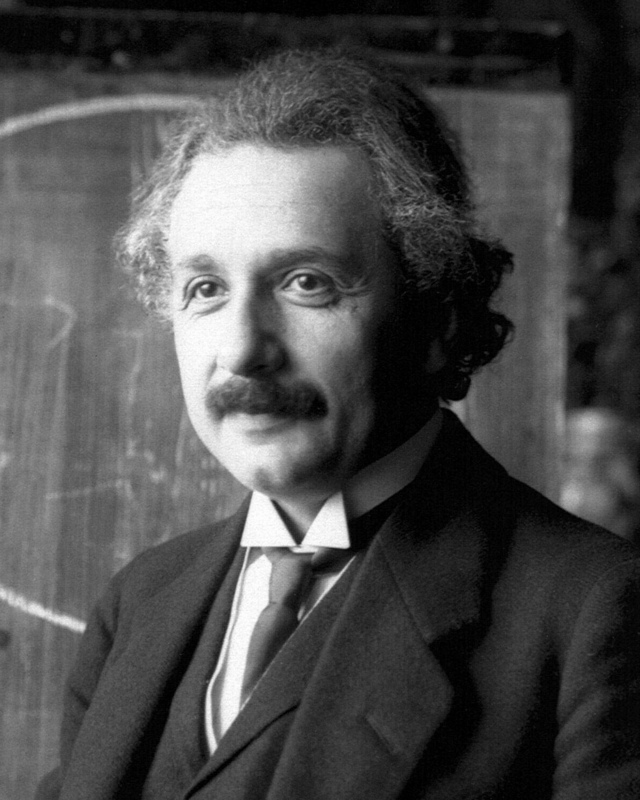 The Photograph of Albert Einstein – This image is in the public domain because its copyright has expired. This applies to the United States, Australia, the European Union and those countries with a copyright term of life of the author plus 70 years. The Photograph of the Space-time Curvature – Permission is granted to copy, distribute and/or modify this document under the terms of the GNU Free DocumentationLicense, Version 1.2 or any later version published by the Free Software Foundation; with no Invariant Sections, no Front-Cover Texts, and no Back-Cover Texts. A copy of the license is included in the section entitled “GNU Free Documentation License“. The Berlin Clock Photograph – The copyright holder of this file, Andreas Steinhoff, allows anyone to use it for any purpose, provided that the copyright holder is properly attributed. Redistribution, derivative work, commercial use, and all other use is permitted. Photo of the Inverted Spectrum. -This file is licensed under the Creative Commons Attribution-Share Alike 2.5 Generic license. The Gregorian Calendar Celebration Photograph – Permission is granted to copy, distribute and/or modify this document under the terms of the GNU Free Documentation License, Version 1.2 or any later version published by the Free Software Foundation; with no Invariant Sections, no Front-Cover Texts, and no Back-Cover Texts. A copy of the license is included in the section entitled “GNU Free Documentation License“.